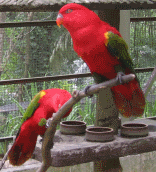 Kajang town is located about 20 km away from Kuala Lumpur and is in the district of Hulu Langat, Selangor. It is connected to other parts of Klang Valley by SILK Highway making it more accessible to folks who want to come here for business purposes or just to taste the famous satay. This town was founded in 1807 and is the district capital. The Sate Kajang Haji Samuri Shop just beside the old stadium. While you are here, remember to try the Satay and visit the Sate Galeri which is located just opposite the recreation fields which used to be Kajang Stadium. A library for the public is located on the second floor of Bangunan Dato' Nazir, the same building where you can taste the Satay. 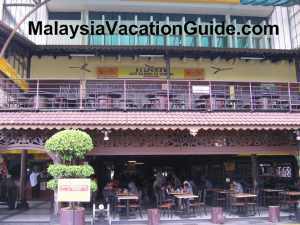 Side view of the restaurant which is located on Bangunan Dato' Nazir building. The Satay or Sate is a Malaysian delicacy made from chunks of meat which can be from chicken, beef, mutton, fish, rabbit or cow's intestine to name a few. These meat is marinated and pierce on bamboo sticks before being grilled using burning charcoal. The ingredients used to marinate the meat include lemon grass, salt, garlic, sugar, tamarind, saffron and other spices. 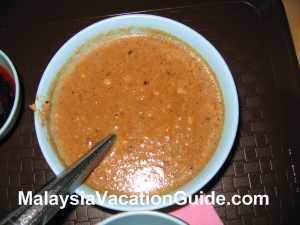 The sauce that is used to be dipped in and eaten together with the satay is made from peanut and other ingredients. The aroma of the meat being grilled is nice and creates an atmosphere of what to expect when you taste the Satay. If you have not been to Sate Kajang Haji Samuri, make it a point to go when you are free. They are also usually eaten with "Ketupat", cucumber and "Nasi Impit". The price of the food is reasonable and is listed below. Chicken Sate costs RM0.60 per stick. Beef Sate costs RM0.60 per stick. Ketupat costs RM0.50 per piece. Nasi Impit and cucumber cost RM1.30 per plate. This place is located just beside the old stadium. The varieties of satay that you can order. 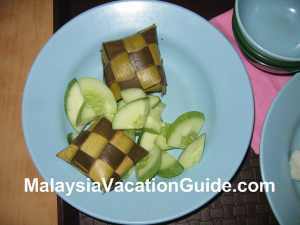 The "Ketupat" is made from rice and wrapped in coconut leaves. The owners have commercialized this business and you are now able to taste the satay in almost every major towns in Klang Valley such as Bandar Baru Bangi, Setapak, Bukit Tinggi Klang, Damansara Utama Uptown and Kompleks PKNS Shah Alam. The satay sauce made from peanuts. 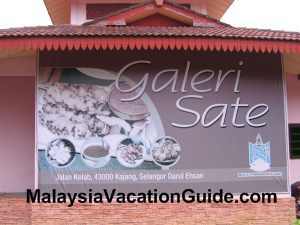 The Satay Gallery or Galeri Sate in Bahasa Malaysia is located opposite the old stadium and behind Majlis Perbandaran Kajang building. There are parking bays available for parking. 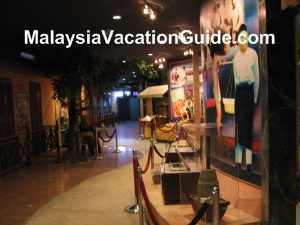 This gallery has pictures, diorama of everything about satay and how it was first introduced here. The huge signage at the entrance to the Satay Gallery. Main entrance to the gallery. 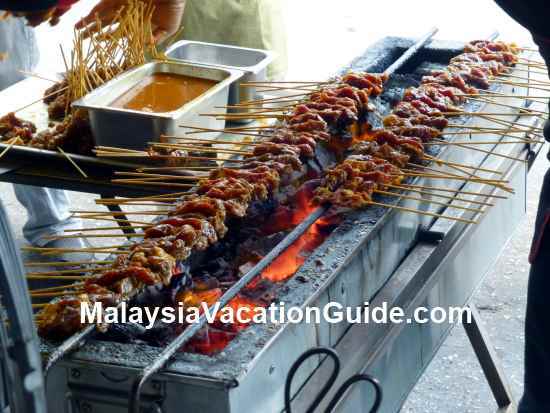 You will discover that in the olden day, satay was sold by carrying or using a push-cart. 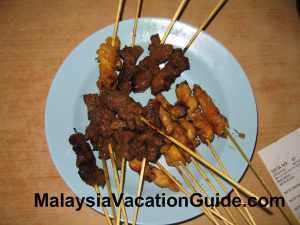 The popularity of this delicacy has caused the town to be known also as "Satay Town". Entrance to the gallery is free and plan to spend about half an hour to an hour here. On Saturdays, the gallery is only opened on 1st and 3rd Saturdays of the month. The gallery is closed from 1pm to 2pm and a longer period of 12:00pm to 2:00pm on Fridays. Some of the exhibits that you can see include the push-cart and ingredients used to make the satay. If you are into reading, there is a small state libray on the second floor of Bangunan Dato' Nazir. This libray is run by he PPAS or Perbadanan Perpustakaan Awam Selangor and you can apply to be a member here to use the library. If you would like to try another not so commercialized satay, you can go to Sungai Ramal which is about 6km away from the town centre. 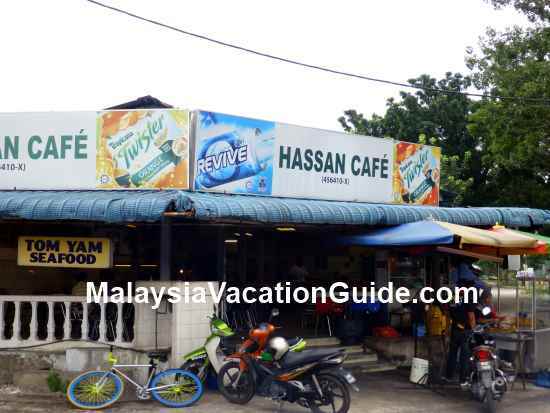 During the day, try going to Hassan Cafe where Willy Satay has a stall. Go by 12pm to avoid the lunch crowd. This stall operates from 11am to 8pm. The other Willy Satay stall nearby which operates from 3:30pm to 11:30pm is located at Ramal Food Junction. Price per stick for chicken/beef is RM0.80, lamb satay for RM1.20, tripe satay for RM1.00 and "nasi himpit" for RM1.00. 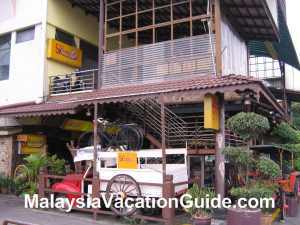 The other restaurant nearby is Restoran Yus which also serves satay.